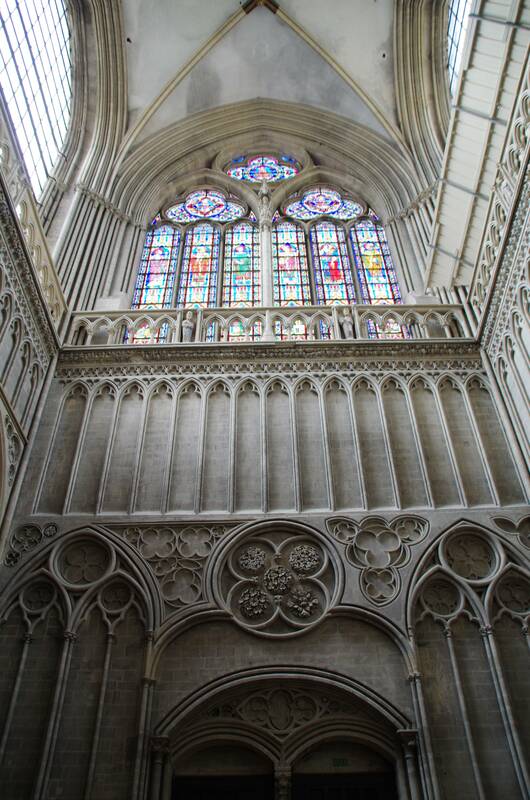 We drove from Paris to Bayeux. 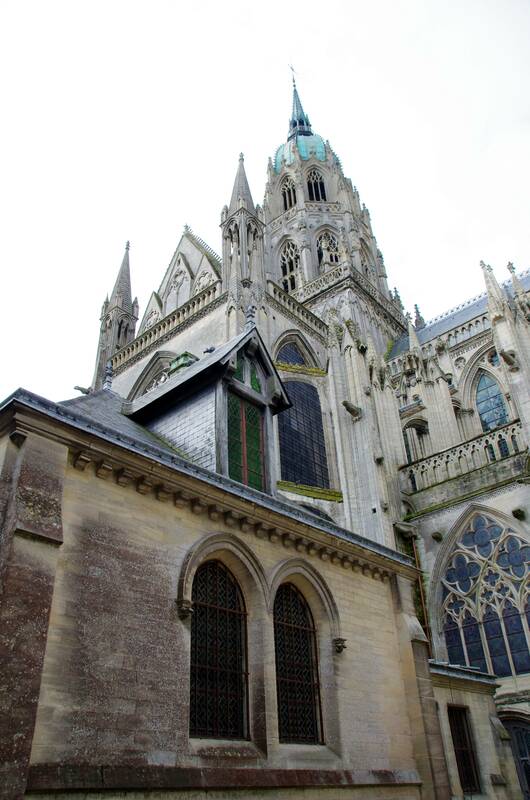 We wanted to use Bayeux as the starting place for our day of Normandy WWII site-seeing. 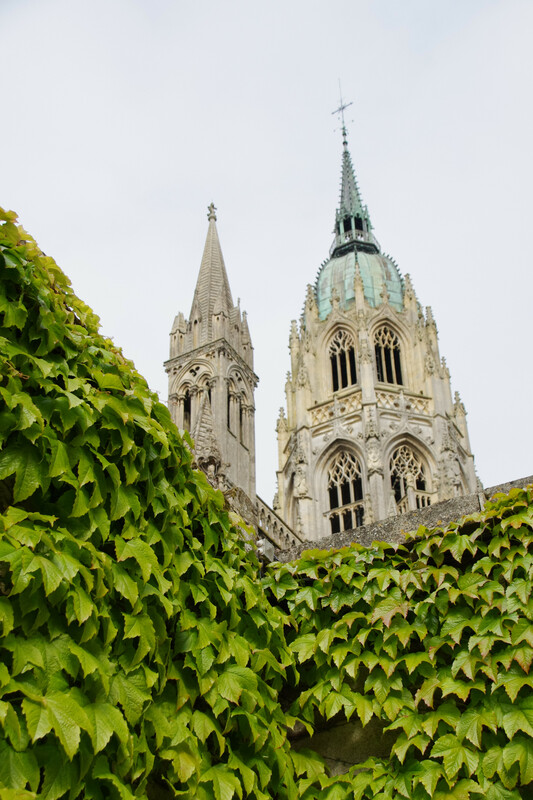 Bayeux was a beautiful city, and we were lucky enough to have a great view of the Cathédrale Notre-Dame de Bayeux from our hotel room window (we stayed at Churchill Hotel and highly recommend it). 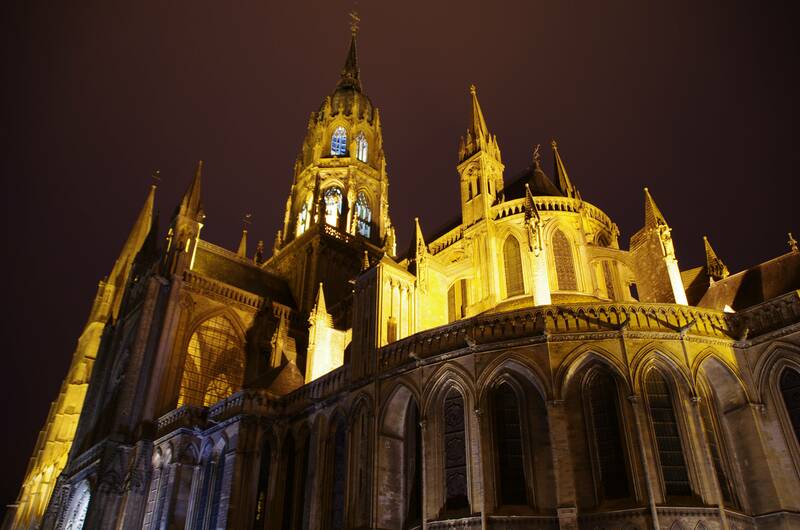 I photographed the cathedral two nights in a row – the first night was foggy, so I couldn’t resist taking more pictures of the cathedral against a dark, clear sky on our second night in Bayeux. 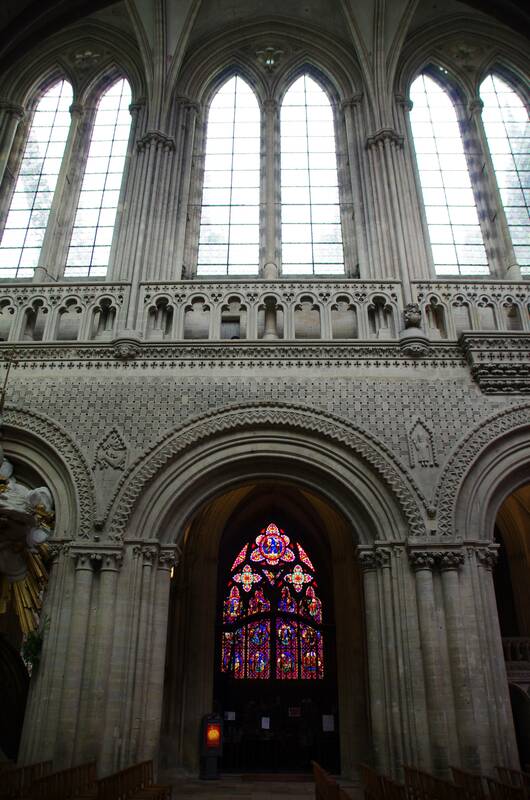 On our way out of Bayeux we stopped at the cathedral so that we could walk around the inside of it – it was fairly early, so I was surprised and thankful that it was already open. 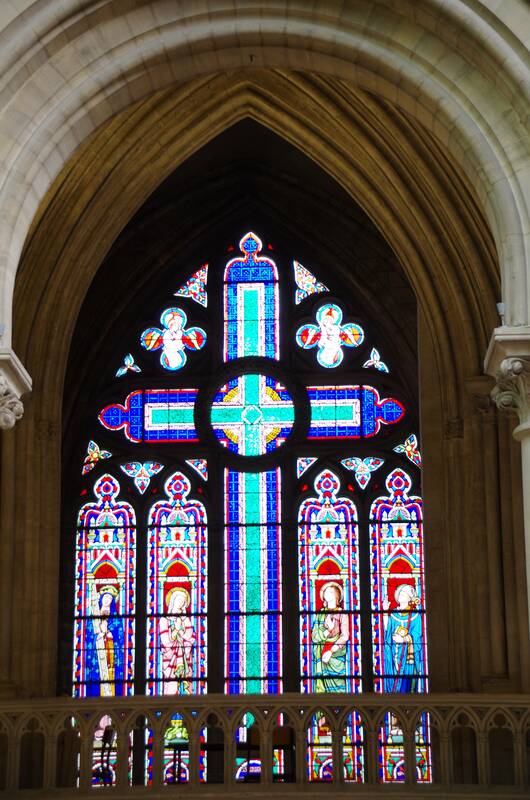 I would have been sad had I not gotten to see the inside of the cathedral that I had thoroughly enjoyed photographing the exterior of the building. 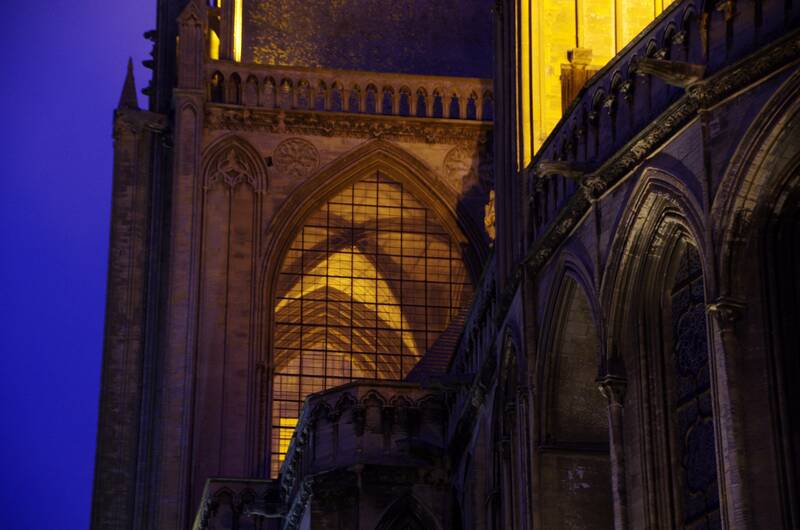 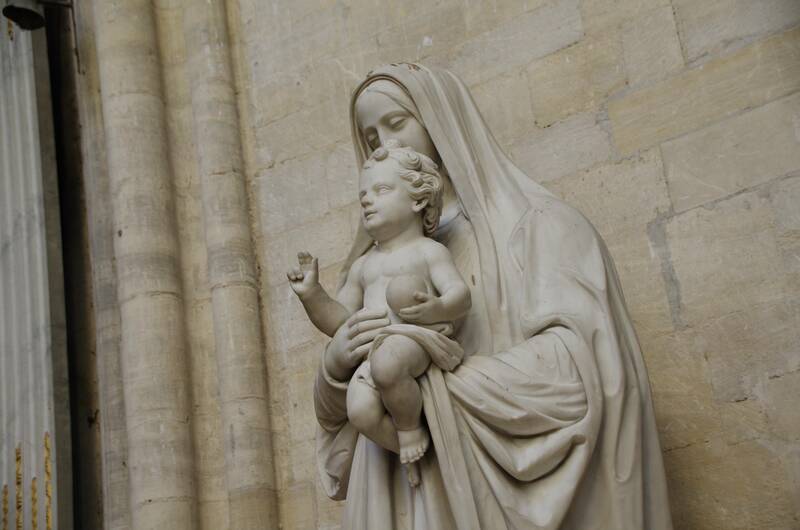 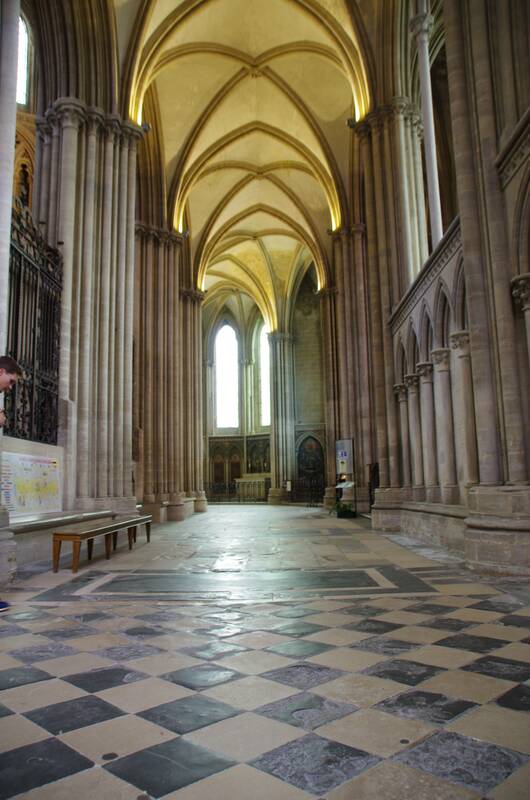 The cathedral was consecrated on July 14, 1077, and was rebuilt following extensive damage during the 1100s. 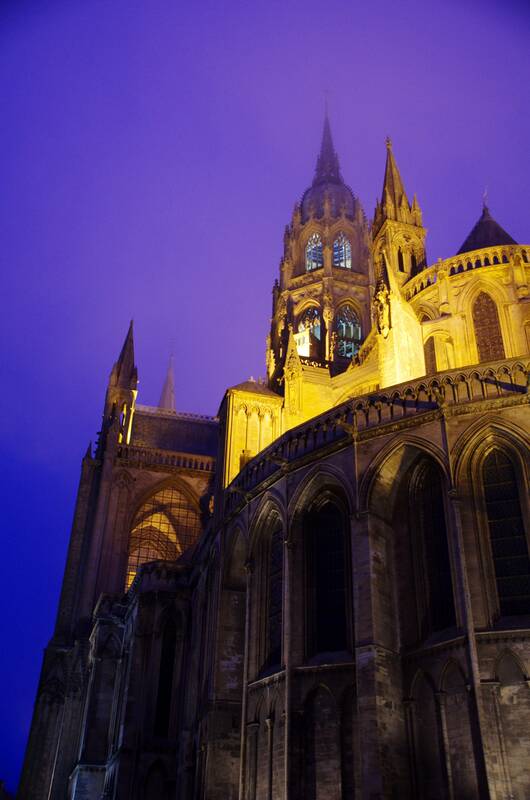 The fog provided both a nice challenge and a beautiful, blue backdrop against which to photograph the cathedral. 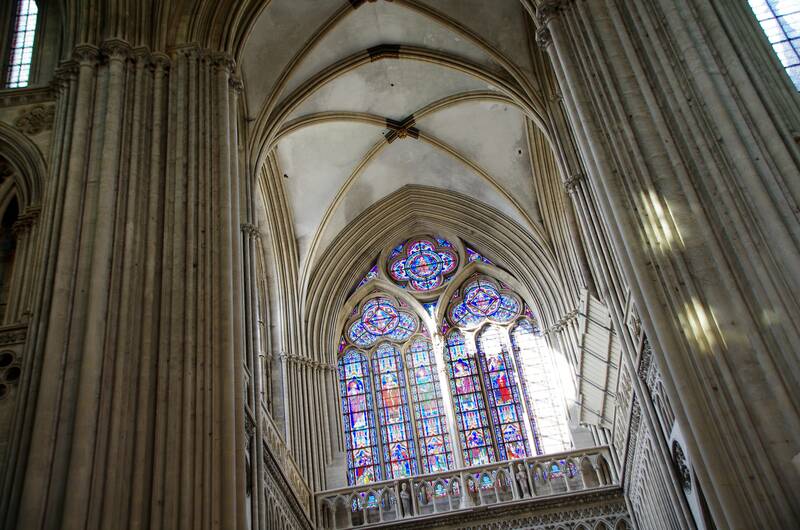 This was one of my favorite parts of the cathedral. 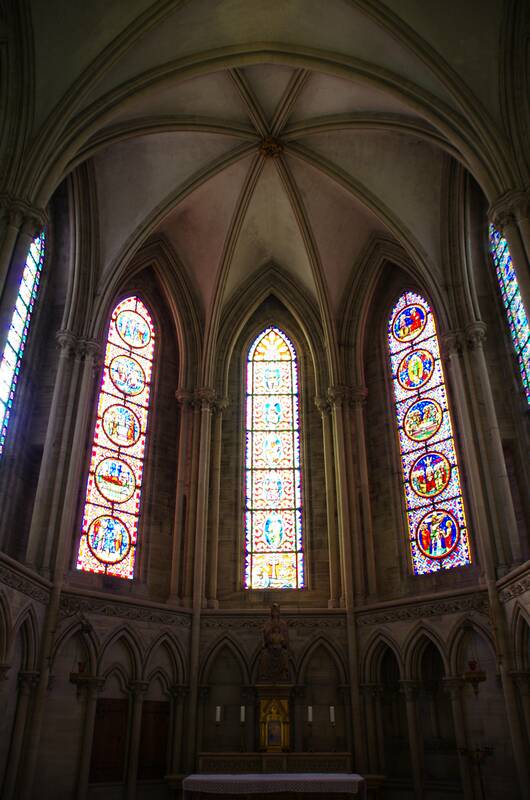 I don’t recollect every having seen a cathedral that had windows in a place similar to where these windows were located. 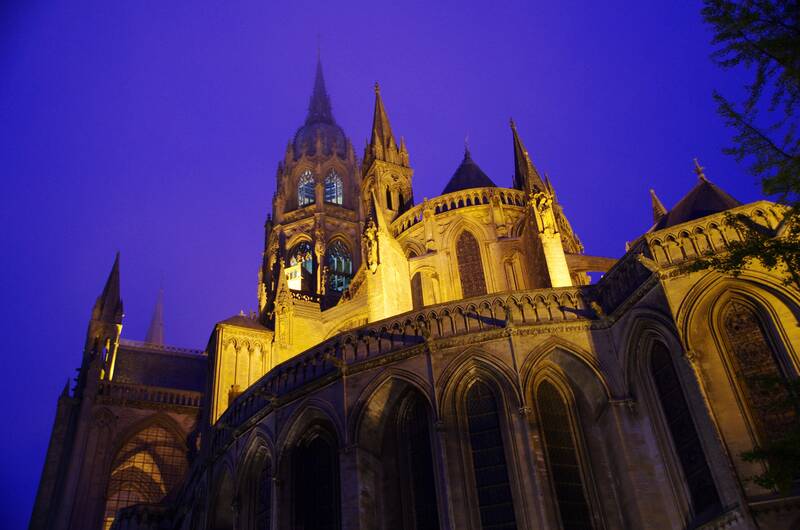 Though I appreciated the fog, I was thankful that the sky was clear on our second night in Bayeux. 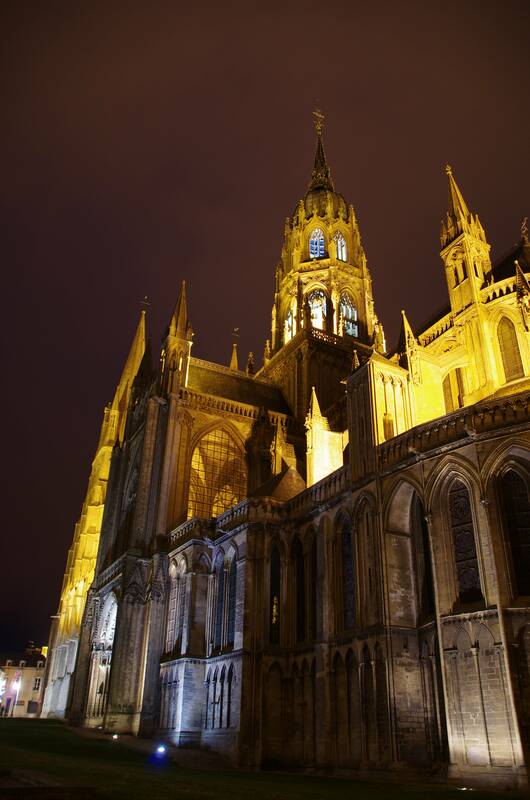 The darker sky made for better night-time photos and did a better job of bringing out the cathedral lighting. 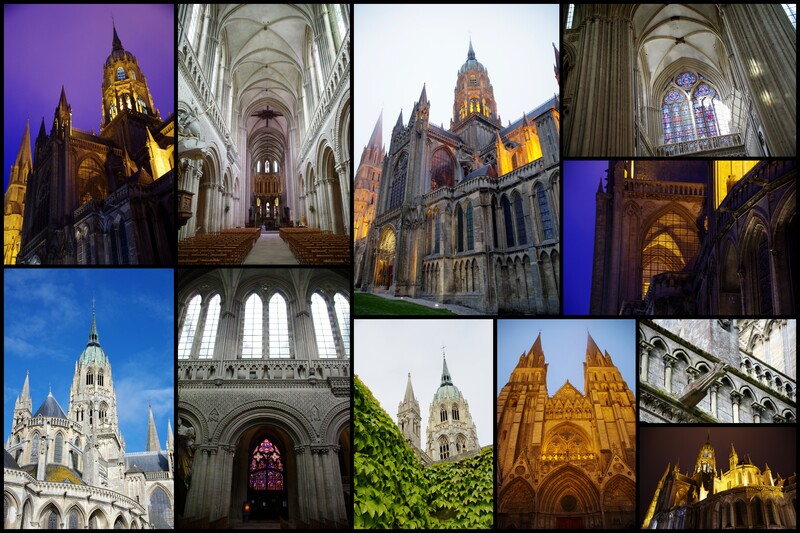 As much as I enjoyed getting to see the outside of the cathdral and photograph it at night, I was even more excited to get to examine the detailed cathedral inside and out during the daytime on our last morning in Bayeux. 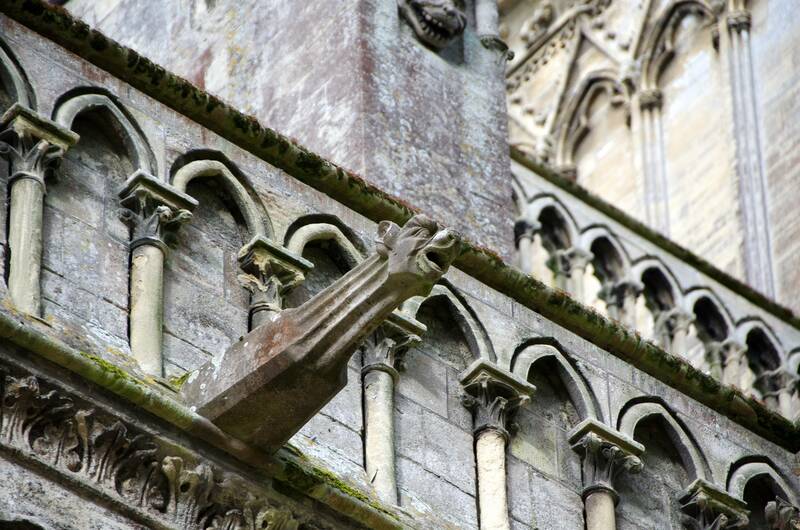 I had never seen gargoyles before going to Paris and didn’t anticipate getting to see them outside of Paris, so I was thrilled to discover that Bayeux’s Notre Dame Cathedral also had gargoyles. 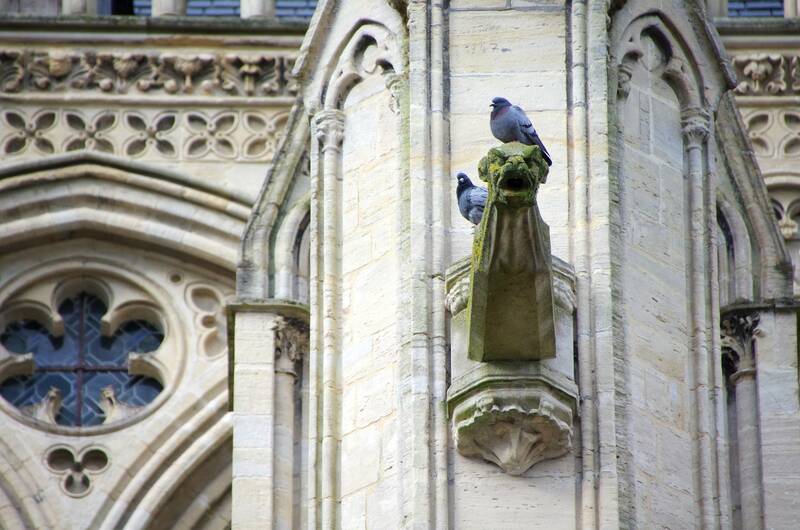 Apparently, the pigeons like them, too. 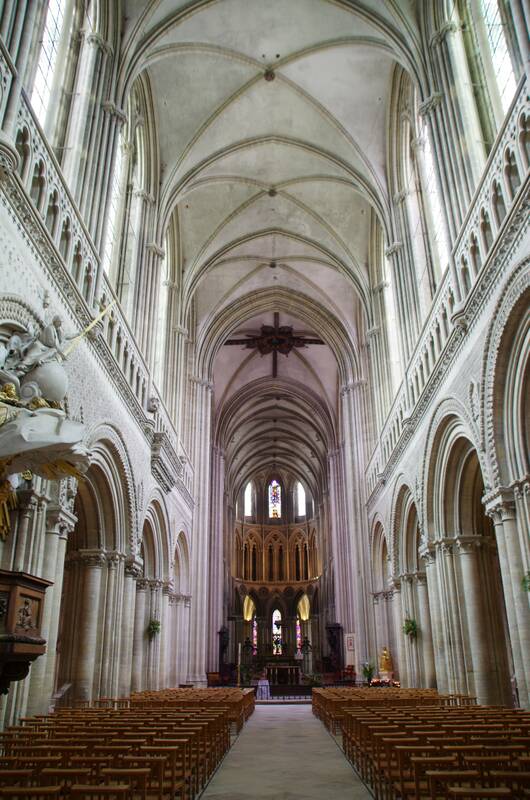 The inside of the cathedral was beautiful. 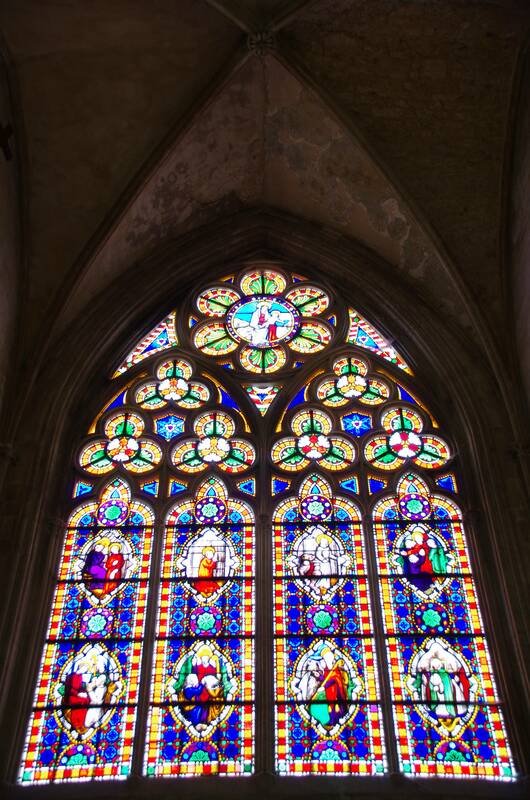 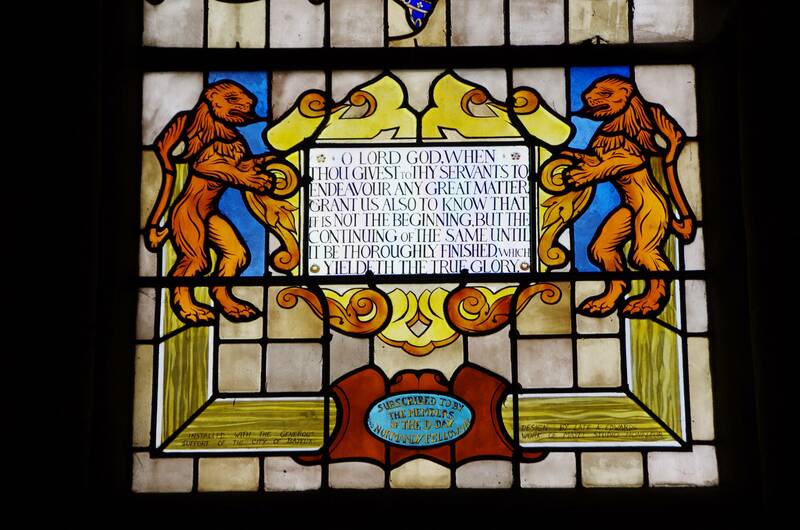 I especially enjoyed getting to photograph the many brightly colored, stained glass panels. 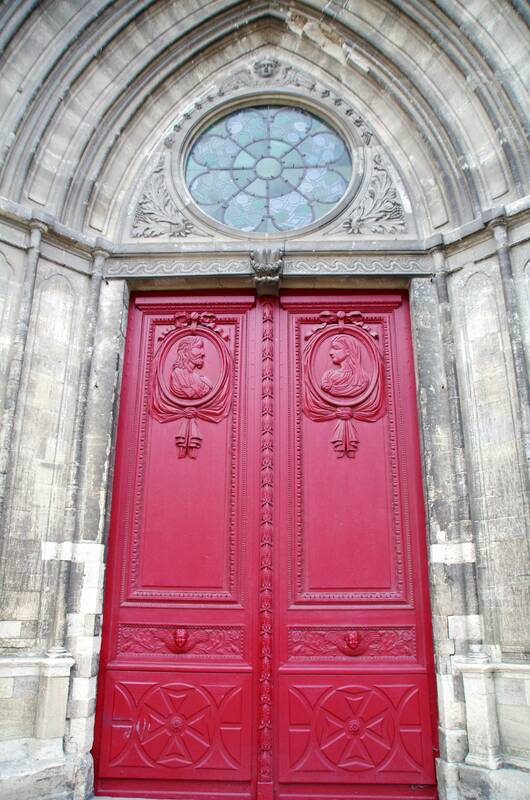 Until it be thoroughly finished!